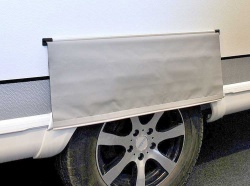 The Isabella Penta Flint has all the things you need for a long term pitch awning. It has a superb depth of 3.5 metres, yet is free of the annoyance that a centre pole typically creates. It has also been designed so that every inch of space is usable. The main awning material is Isabella's Isacryl, which has that magical combination of being highly water resistant yet enables the awning to breathe. The windows in both sides can be opened to allow fresh air to cool and give circulation to the awning, but because the windows have Mosquito nets annoying bugs and insects are kept outside. 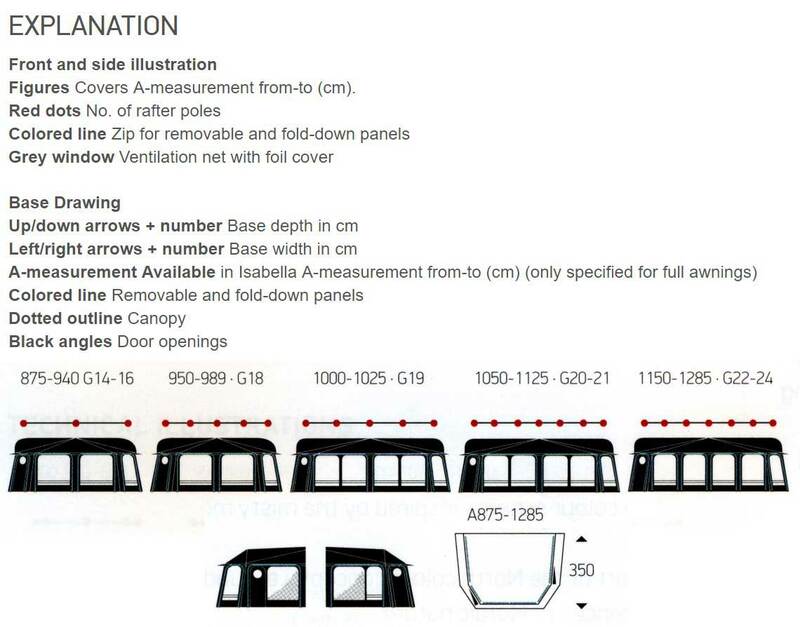 The awning has numerous opening options and this all helps to provide an optimal indoor climate. 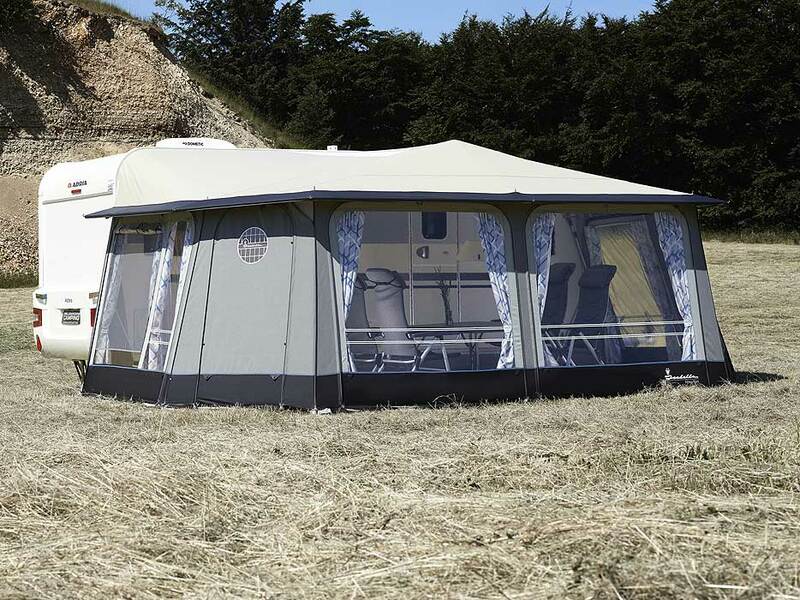 The Isabella Penta Flint has a sand-coloured roof that imbibes the awning with a soft warm light. 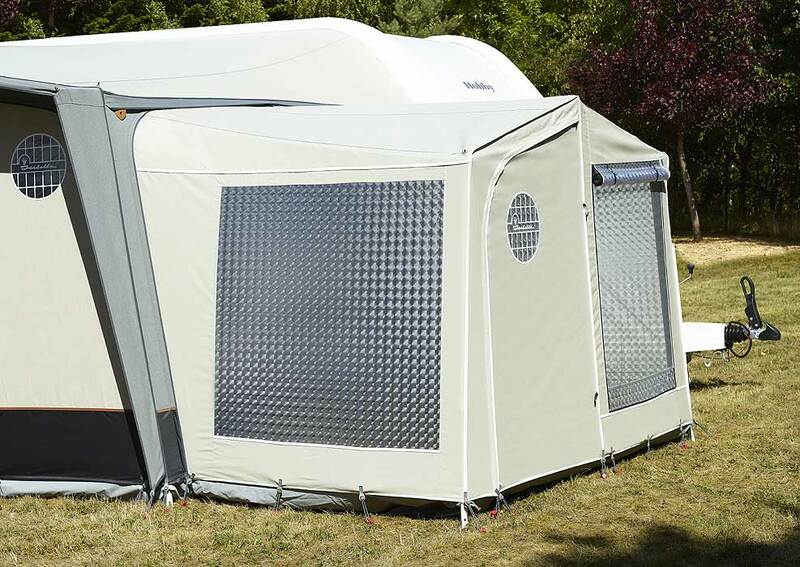 The awning roof has a light strip in the roof and the large windows of clear film make the Penta Flint awning a bright and friendly place to spend time. 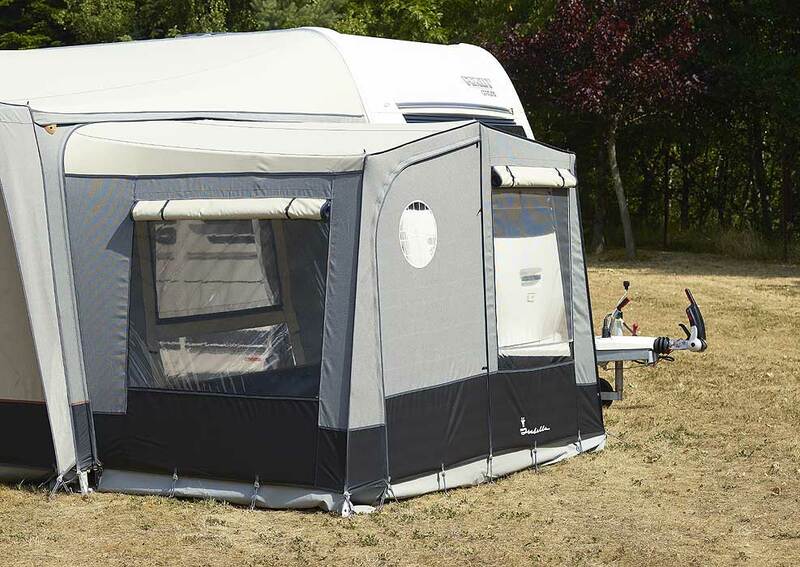 The awning has a pentagonal shape and this helps to give stability. Isabella have given you a choice of two pole types. 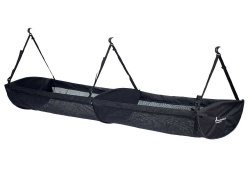 You can purchase the Penta Flint either with their Zinox poles or the Isabella Mega poles. 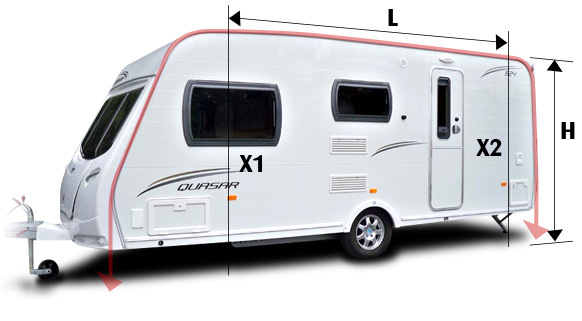 Both pole types are sturdy and provide further stability to the awning making more suitable for a long season at the campsite. Choose between the robust Zinox steel frame or the extra-strong Zinox MegaFrame for additional stability. The combination of MegaFrame with further winter securing means you can make use of your Penta Flint all year round. 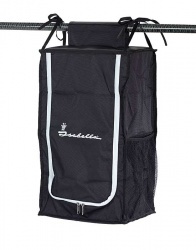 The Isabella Penta Flint comes with a number of items as standard which include, curtains, veranda pole, a wheel arch cover, draught skirt, FixOn, awning bag, pole and peg bags and a peg remover. 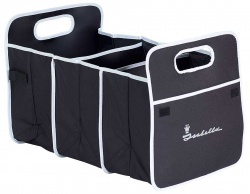 Removable / Fold-Down Panels: Front, side and corner panels. Nets: The two large side windows have mosquito nets. Light: Light strip in the roof.